...If You Live, Work, or Play in the Estuary. We are a partnership of government, business, scientists, conservation organizations, agricultural interests, and individuals for the preservation, protection, and restoration of the Barataria-Terrebonne National Estuary in southeast Louisiana. If you live, work, or play in the Barataria-Terrebonne National Estuary or are one of the millions that use its resources across the nation, you have a vested interest in its restoration. 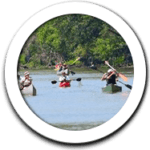 Our mission is the preservation and restoration of the Barataria-Terrebonne estuarine system, the 4.2 million-acre region between the Atchafalaya and Mississippi Rivers. Louisiana supports 25% of the Prothonotary Warbler's breeding population, but in the last 50 years, the population has dropped by 40%. 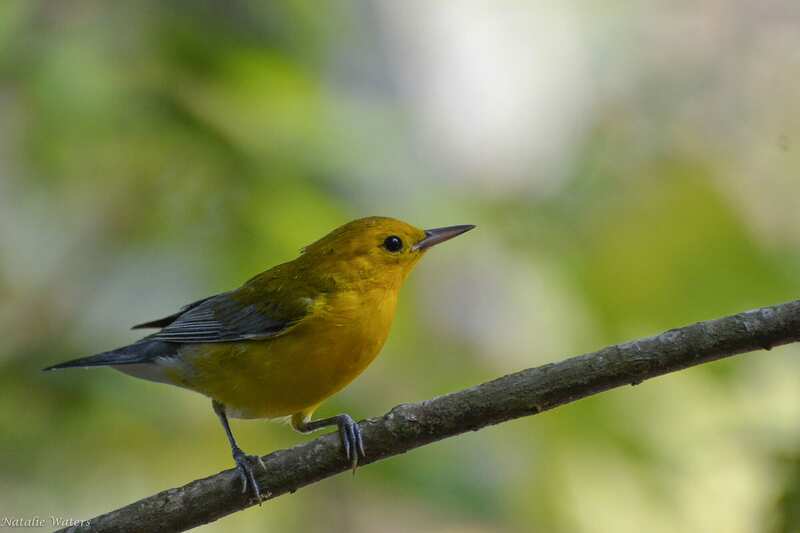 Click to learn more about BTNEP's Prothonotary Warbler Conservation & Monitoring project. Volunteers from E.D. 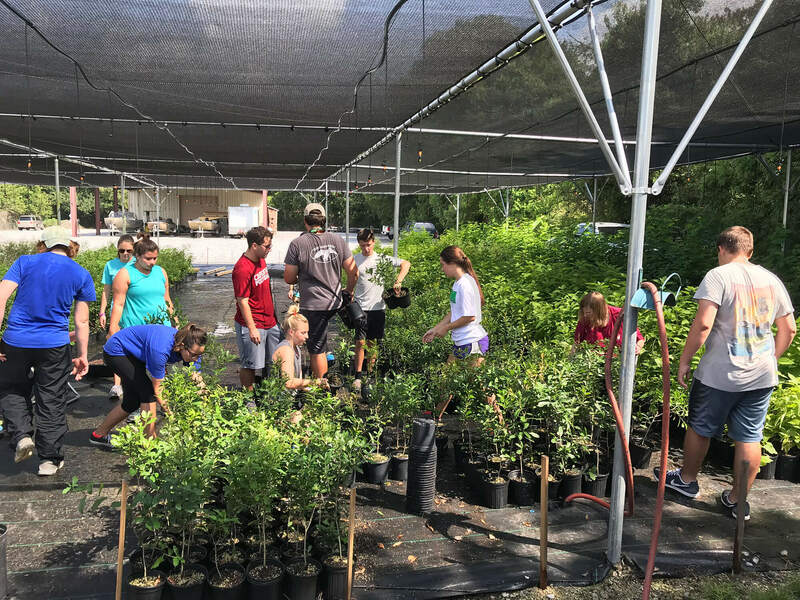 White Catholic High School weeding and moving native woody seedlings at BTNEP's Native Plant Production Facility at the Nicholls State University Farm. 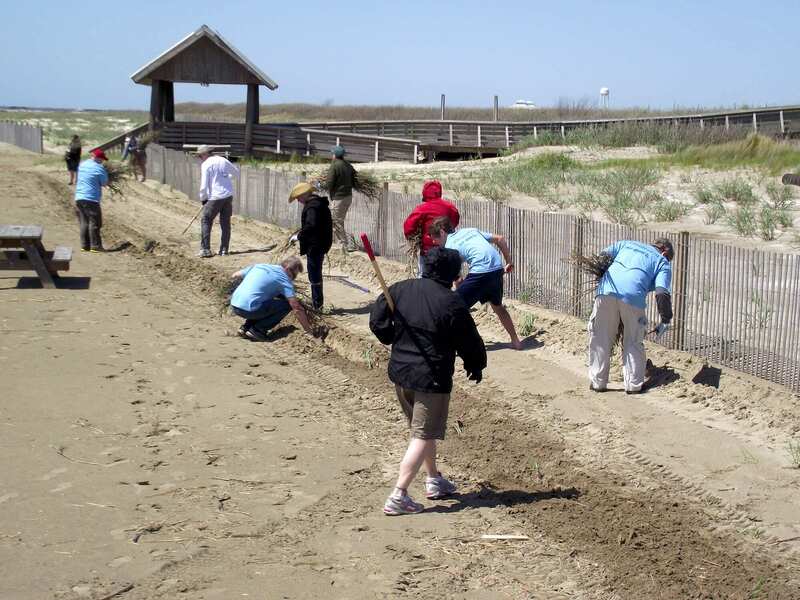 Bitter panicum planting at Grand Isle State Park with volunteer help from All Saints Episcopal Church from Chicago, IL. Bayou Folse is an imperiled watershed located in southeastern Louisiana in Lafourche Parish. 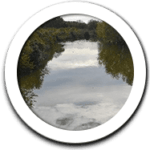 The purpose of this project is to characterize water quality issues, to identify the geographic areas contributing to pollution carried by rainfall runoff, and to improve the surface water quality. Red Knots (Calidris canutus) are long-distance migrants that travel over 1,000 miles two times a year from their breeding grounds in the arctic to their wintering grounds in South America. 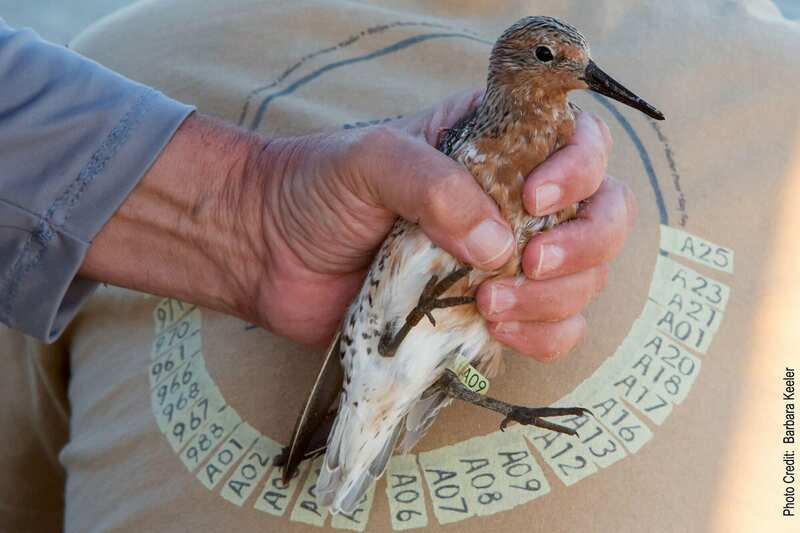 Part of the Red Knots journey includes Louisiana’s coast, a place to rest and refuel. Interested in the work we've been up to? 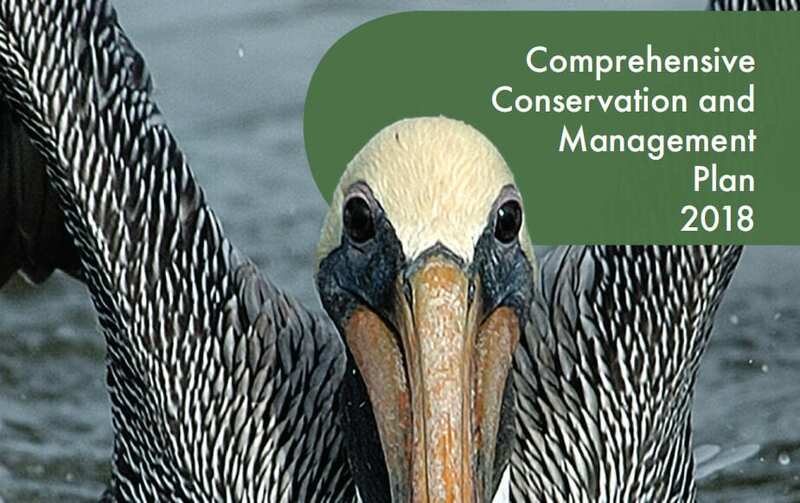 Join us for our Management Conference — a place for the voice of all that live, work, and play within the estuary, May 2nd at 9:30 a.m. at Nicholls State University! For more information, please contact Nicole at nicole@btnep.org or 985.447.0868. 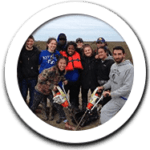 Barataria-Terrebonne National Estuary Program shared a post. 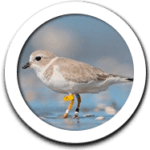 BTNEP has built the framework for the conservation of bird population that use the area through monitoring and educating the public on bird issues. 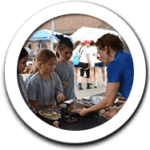 BTNEP strives to educate the public on environmental issues and help teachers bring environmental education to their students in the classroom. 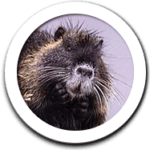 BTNEP aims to raise awareness and understanding of invasive species and create effective solutions. 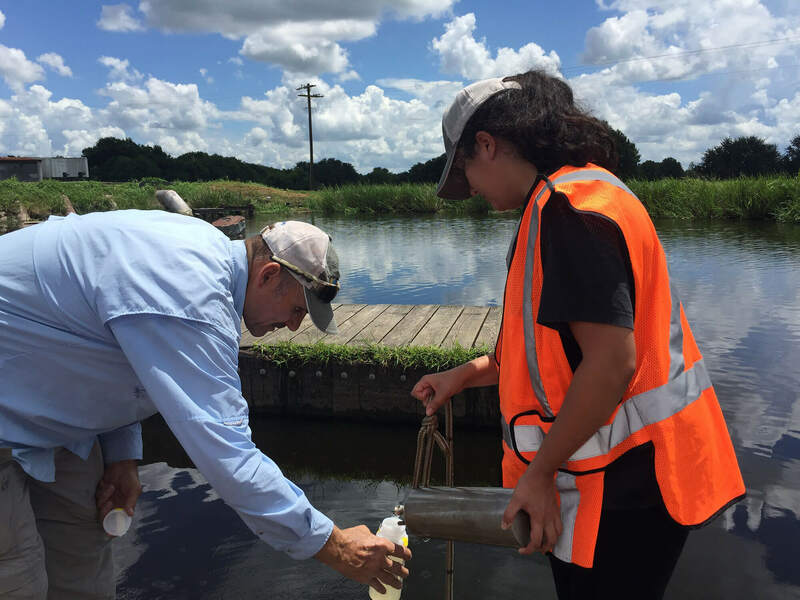 BTNEP is dedicated to educating and assisting citizens to take action on their own property and in their own lives toward improving water quality in our estuary. Through a number of projects and events, BTNEP strives to build relationships with the community to increase awareness about the BTES and the issues it is facing. 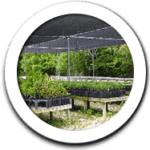 BTNEP collects native seed and stock to grow out plants at our production facility for use in habitat restoration. BTNEP selects project areas that are based on our mission of preserving and restoring the BTES. BTNEP volunteers play a vital role in habitat restoration, while also learning about important ecological and economical characteristics of the BTES. 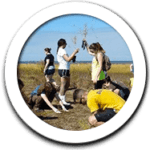 Find out why estuaries are so important to you. It's not too late. We have a long term plan to manage our wetlands effectively. Learn how you can be a part of the solution! The Louisiana Barataria-Terrebonne National Estuary is the fastest disappearing landmass on Earth.